Groin armor, an extremely important component of any articulated body protection system, is now on offer from Galac-Tac. It is important to note that this product only consists of the armor, and does not come with a belt. 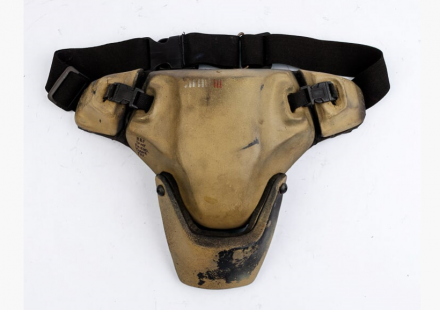 Also, it bears mentioning that the Galac-Tac line is not ballistic rated, and is intended to function as cosplay or airsoft armor. Available in these fine colors: Coyote Tan, OD Green, Flat Black, and Battleship Gray. This entry was posted on Thursday, November 1st, 2018 at 22:15	and is filed under Armor. You can follow any responses to this entry through the RSS 2.0 feed. Both comments and pings are currently closed.